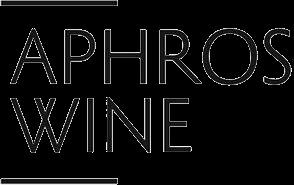 Founded in 2002, Aphros is a project designed to combine ecological and economical aspects to create true sustainability. Their belief is that nature and labor should combine in a meaningful way and they seek to capture this through Biodynamic viticulture, letting the uniqueness of the land shine through the fruit for inimitable wines. Loureiro and Vinhão have grown in these vineyards for centuries and serve as the reference point for the region. The grapes are sourced from the Lima sub-region and the vines of Casal do Paço are situated in a south facing amphitheater north of the Lima River on gentle slopes with cool Atlantic breezes. The winemaking is traditional, taking place in the basement beneath the main house. The cave is buried and naturally cool and damp. They once again straddle the line between modern and traditional character with the addition of modern stainless steel equipment and traditional open top lagars, granite stone tanks, for red wine production.